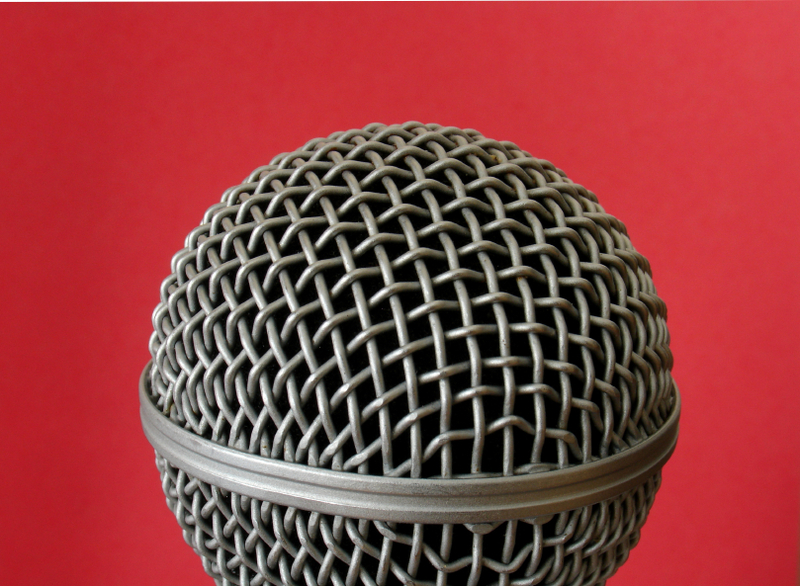 Welcome to the 355th episode of Our Hen House! This week, Mariann‘s got Kale … and Aubry Walch, the brother and sister duo who not only use knives in the same space, they also co-founded The Herbivorous Butcher, bringing their small-batch, locally-sourced, all-natural, all-vegan meat alternatives to the Minneapolis masses and to the rest of the US, via their online shop. Although Aubry’s idea – “Let’s open a vegan butcher shop!” – was initially cause for hilarity, it soon became both virtual and a reality. You’ll love their story! More good news for animals is revealed in Jasmin‘s interview with activist Kelly Lehman. 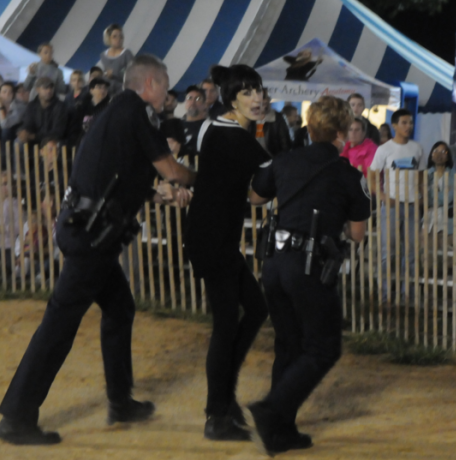 Kelly was arrested last year for “disorderly conduct” at the “pig chase” at the Ephrata Fair in Pennsylvania. 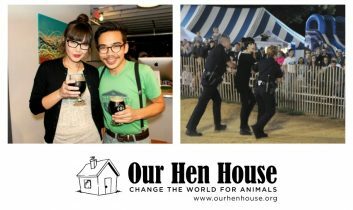 Her arrest and activism since then led to the suspension this year of the 39-year-old “traditions” of pig and rooster chases at the fair. Kelly tells of her group’s continuing efforts to ensure that the suspension becomes permanent. 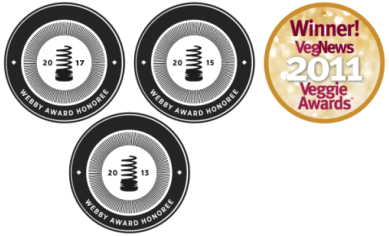 Yes, there’s news and Rising Anxieties, too! Signed into law in 1966 by President Johnson, the Animal Welfare Act turns 50 this year. The Animal Law and Policy program at Harvard Law School marks this anniversary with the conference The Animal Welfare Act at Fifty, which is one of the sponsors of this week’s podcast. This conference will bring together experts from the academic, legal, governmental, and non-profit arenas to assess the past and consider recommendations for the future of the AWA. 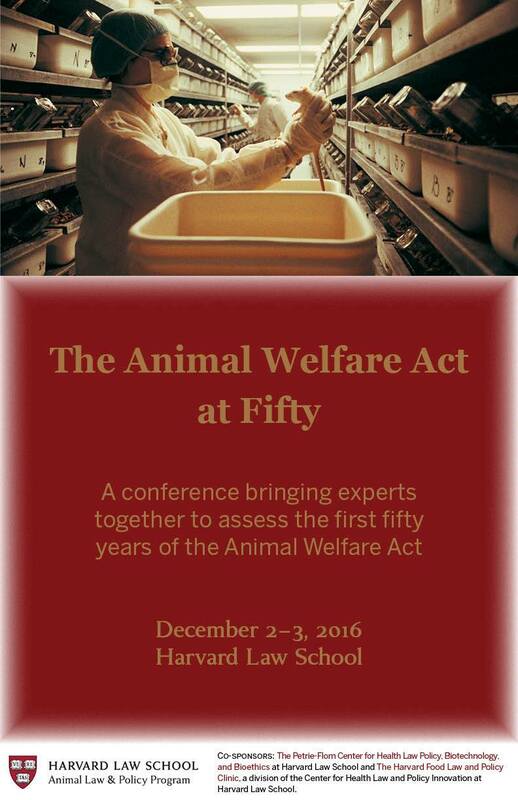 Friday and Saturday, December 2 & 3 at Harvard Law School. Space is limited, so register now.